Will Ireland keep the pressure on England and Scotland? Or is it a night for a Welsh revival? Who are the key men on the field? Where will the battle be won or lost? We will of course have full live text commentary of the action from Twickenham tomorrow afternoon - and you can hear full match commentary on BBC radio 5 live online and on your radio. Build-up starts from 15:00 GMT. Owen Farrell remains a doubt for England's Six Nations encounter with Scotland after missing training at Twickenham on Friday. The centre, 25, did not take part after sustaining a leg knock on Thursday. "He's pretty resilient. He will do the right thing by the team and by his body," assistant coach Paul Gustard told BBC 5 live. Scotland coach Vern Cotter has brought Edinburgh flanker Hamish Watson into the side in the only change to the team. The back-rower replaces club-mate John Hardie, who is injured, while Cornell du Preez comes on to the bench. Full-back Stuart Hogg says it should not be considered a shock if Scotland secure a Six Nations victory over England at Twickenham on Saturday. They have not beaten England since 2008 and not won at Twickenham since 1983. But Hogg, who has scored three tries in the campaign so far, says this side is capable of reclaiming the Calcutta Cup. "We're no longer a team that just turns up, lies down and allows our bellies to be tickled," said the 24-year-old. "We're more than capable of winning." A win for Ireland tonight, and a win for Scotland at Twickenham on Saturday afternoon, and we have an awesome final weekend ahead. Alternatively, a win for Wales tonight means that England could be champions by Saturday tea-time. Eddie Jones played mind games with Wales before England's 21-16 victory in Cardiff a month ago, by insisting the Principality Stadium roof stayed open just minutes before the 48-hour deadline. But Ireland, and their head coach Joe Schmidt, have agreed to Wales' request for the roof to be shut without any fuss. The Guardian believes it a measure of Ireland's confidence that they have agreed to this in a must win match - they are second in the table, three points behind an unbeaten England who they face next Saturday. Meanwhile, fourth-placed Wales are out of title contention after back-to-back defeats by England and Scotland. 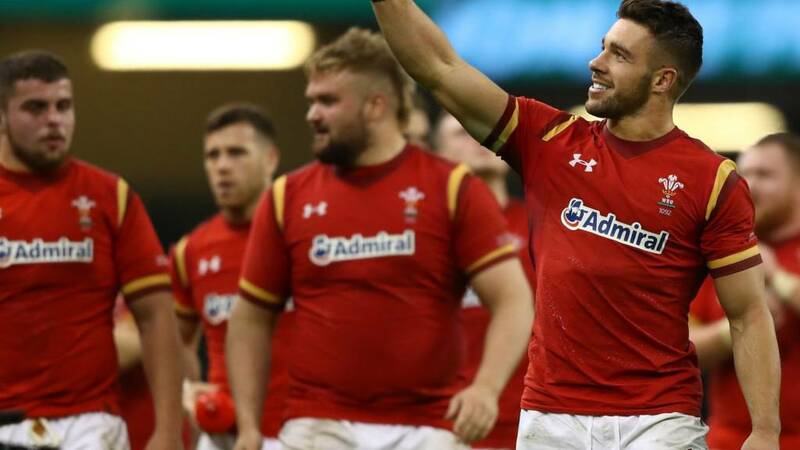 There have been seven Six Nations matches held on a Friday night since the fixture was introduced in 2009 - and six of those contests have been hosted by Wales in Cardiff. The other match, still involving Wales, saw them take on France in Paris seven years ago. Where can I watch/listen tonight? This page here is of course the best place to follow tonight's game, but you can also watch live coverage from 19:30 GMT on BBC One or at the top of this page. There is also build up from 19:00 on BBC Radio 5 live, followed by full match commentary, plus a Wales v Ireland Forum between 21:55 and 22:20 on BBC Red Button, Connected TV and online. Victory for Ireland this evening would keep the pressure at the top of the standings cranked right up, and make Saturday's England v Scotland showdown even more mouth watering. Wales need a performance but can no longer win the trophy this year. Wales' chances of taking the Six Nations have long since gone up in smoke but tonight they have a home crowd to entertain - and appease. After back to back defeats the hosts are in huge need of a result which could also put a considerable dent in Ireland's hopes. With still unbeaten England facing their toughest Scottish test in years at Twickenham on Saturday, the Friday night showdown in Cardiff could go a long way to deciding the destiny of the trophy. An away win for Ireland could set up a potential title decider with England in Dublin next weekend. But Wales - and indeed Scotland - will have plenty to say about that over the next 24 hours.